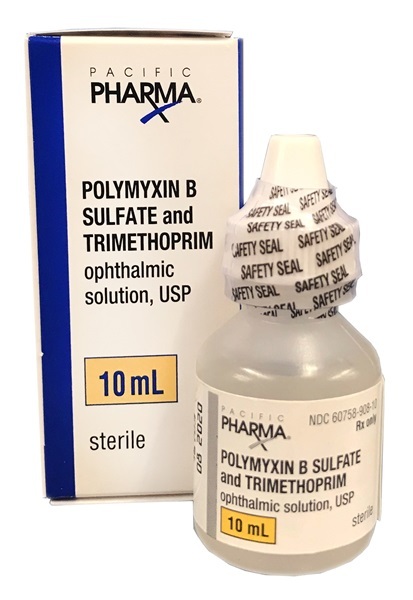 Sterile Polymyxin B Sulfate and Trimethoprim 10000-1/ML ophthalmic solution in 10mL dropper bottle. 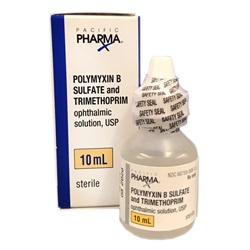 Manufactured by Pacific Pharma. NDC Number: 60758-0908-10. Comes as singles.